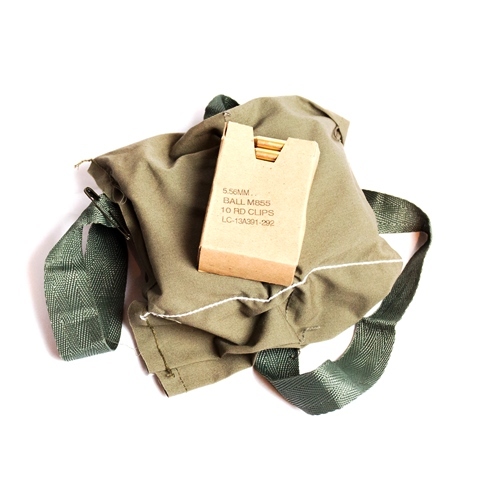 Re-pack your ammo to military specification with genuine USGI 4 pocket bandoliers! 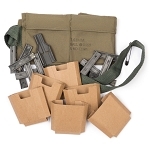 This kit will provide enough bandoliers to re-pack one M2A1/M2A2 ammo can with 840 rounds of your own 5.56 ammunition. 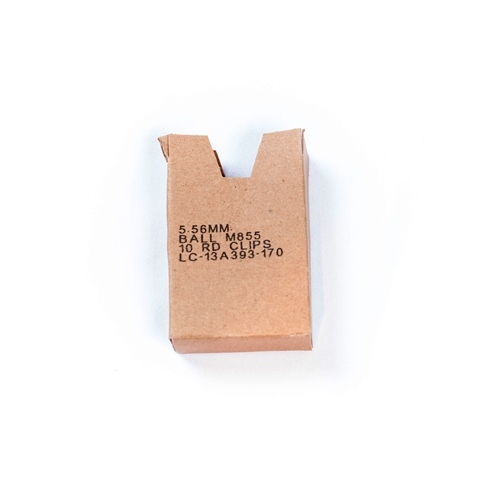 Add M2A1 ammo cans and stripper clips from CleanAmmoCans.com to perform a complete military spec ammo repack. Stripper clips are not included with this bandolier kit. 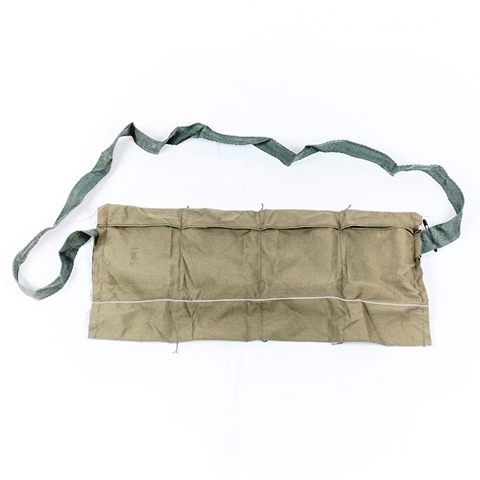 Each 4 pocket bandolier is in new condition and includes the original safety pin, stripper clip guide and 4 cardboard silencer inserts. 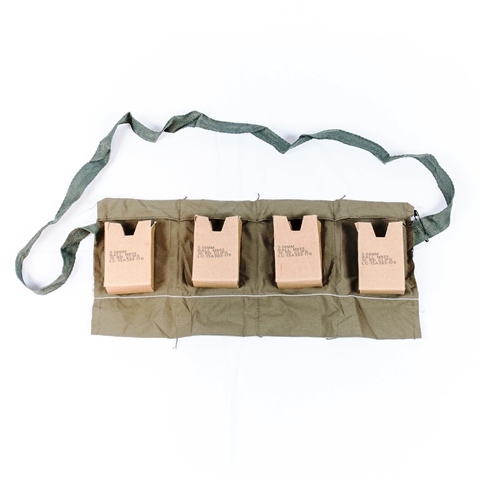 Seven bandoliers are enough to fill an M2A1 ammo can with the 840rds of 5.56 ammo originally packed in the military 5.56 ammo cans. Each bandolier holds 120rds of 5.56 or .223 ammunition with 30rds in each of the 4 pockets. Each pocket is intended to hold three, loaded 10rd stripper clips inside a cardboard insert. Once you load the ammo from the bandolier into your magazines, rip out the white stitching to expand the bandolier pockets to house the loaded magazines. 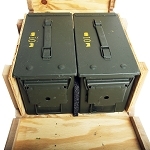 Military spec 62gr 5.56 ammunition ships from the Lake City Army Ammunition Plant in a M2A1 ammo can, with the ammo on 10rd stripper clips and packed in seven, 120rd bandoliers per can. 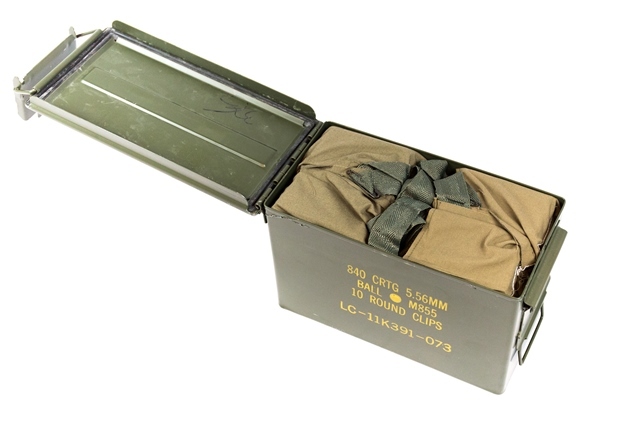 This re-pack kit provides the appropriate number of bandoliers, stripper clip guides and cardboard sleeves to re-pack one M2A1 ammo can to original spec with 840rds of ammunition. Not trashed, boxes are in good condition, I was impressed. As Advertised. New bandoliers, order complete. Had these things loaded up in no time. Will order again. Like others have stated, the re-pack kit was in great shape and I will be ordering more. I've only found one problem; I have to buy more ammo to fill these bandoliers !